100 Red Holographic Wristbands - Order in packs of 100. 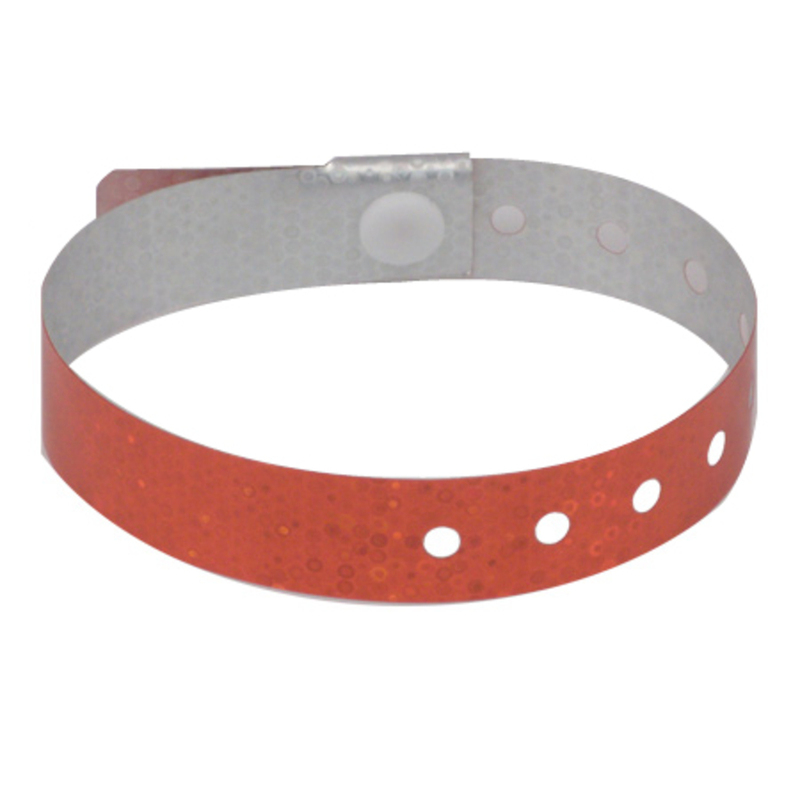 Plastic holographic wristbands sparkle and are the nicest one-time use wristband available. They're easy to use too! Simply wrap the wristband around the wrist of each guest (one size fits all) and secure using the plastic snap. Our holographic wristbands won't stretch or tear and they can't be transferred from one guest to another. These are great for hotels, casinos, parties, water parks, amusement parks, festivals and concerts. Order before 2pm ET / 11am PT and your red holographic wristbands will ship the same day.